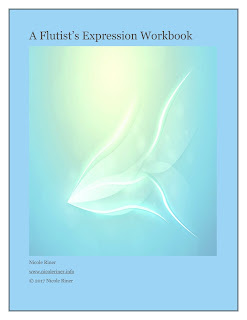 I released my self-published A Flutist's Expression Workbook this past August and have been humbled by its early reviews and positive feedback from teachers who are currently using it in their studios. Demonstration videos, to be released monthly on YouTube throughout the spring term, will feature me speaking about and performing select vocalises with my published expressive markings. Workbook Labs, in which users can log on to Skype and participate in a group Q & A with me and each other regarding pedagogical applications, challenges, and anything else related to our specific teaching environments. To participate in this online pedagogical community, purchase the book here. if you have purchased the workbook, you can choose to receive email notifications, as well. The first video is currently available, below. If you have already purchased the workbook and would like to participate in our first Workbook Lab on February 3 at 9am MST, contact me here and say "I'm in!" We'll be discussing the challenges we have getting our students to develop their own expression, ways in which the Workbook can help, and other materials you'd like to see in a second edition. 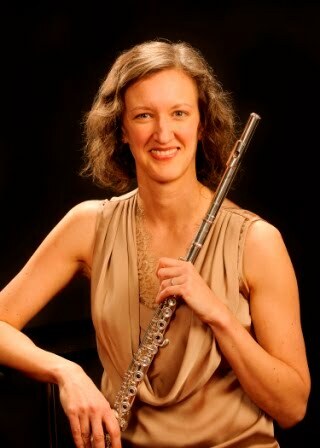 I am so excited to embark upon this project and reach across the miles to connect with other flute teachers about the crucial topic of teaching musicianship to young flutists, and I hope you'll join me!